The Joyetech Cuboid 150W is a rather unique-looking box-mod. It stands out from the crowd with its svelte styling, clear OLED display, and built in upgradability. On paper, and visually, the Joyetech Cuboid box-mod appears to have it all. But is this the case? I’ve been interested in this setup since it first launched and have been eager to try it out. I like Joyetech. They have a solid-ish reputation in the vaping arena and my SMOK X Cube II is now on its last legs after a months and months of abuse. Like most vapers, I have certain things I look for in a box-mod. One in particular is overall build quality. Another is features, as well as battery performance and whether or not the cells are removable, as I generally prefer removable for my mods — it’s just simpler. The last thing is the mod’s 510 connection. I try to take at least two of my tanks with me so that I can put them on the mod and test out the fit and look before purchase. If my tanks don’t fit that’s a deal-breaker for me and I look elsewhere. There is no excuse for poor 510 connections in this day an age. None whatsoever. So, how did I get on with the Joyetech Cuboid Box Mod? Let’s bloody well find out shall we. When I picked up the Cuboid and held it in my hand I immediately fell in love. 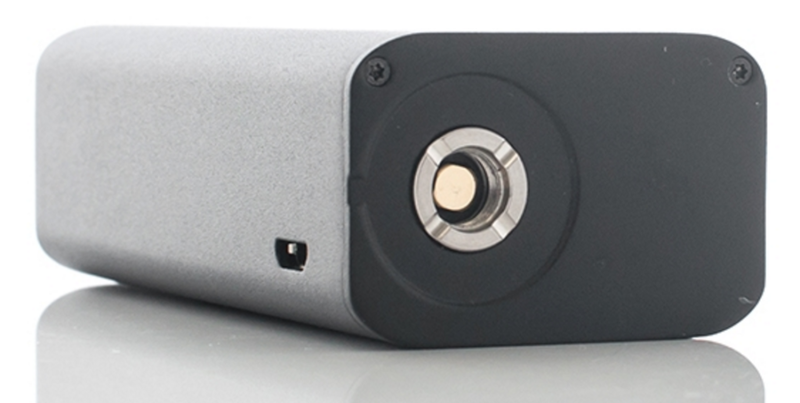 The build quality is superb and it feels great in the hand, with its perfectly rounded edging and high quality chassis. The attention to detail that has gone into this product is obvious; the paintwork, the size, the layout of the buttons — everything just flows. The USB plug is at the top side of the Cuboid which is great. 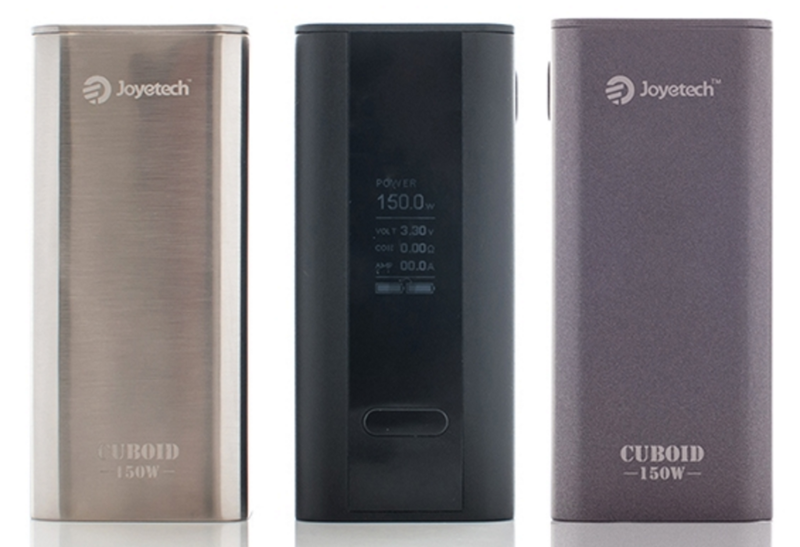 On the back you see the Joyetech branding at the top with Cuboid 150W on the bottom. On the other side, opposite the USB plug, you have a tactile fire button. 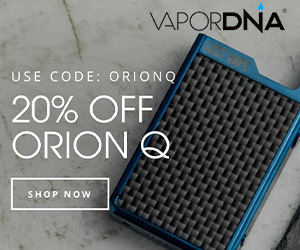 The bottom has a hinged locking battery door which makes swapping batteries out very easy, although you will need to purchase a set as the Cuboid, like most mods, does not come with batteries. On the front is a beautiful large OLED display that gives you all the information you could want including Power/ TC mode, Volt, Coil, Amp and a dual battery meter so you can monitor each battery separately. I like this display A LOT. Right underneath the display you have your adjustment buttons. From here you can customise your vaping experience until your heart’s content. Where the pieces come together to make the Cuboid nothing is out of place; everything is perfectly flush. 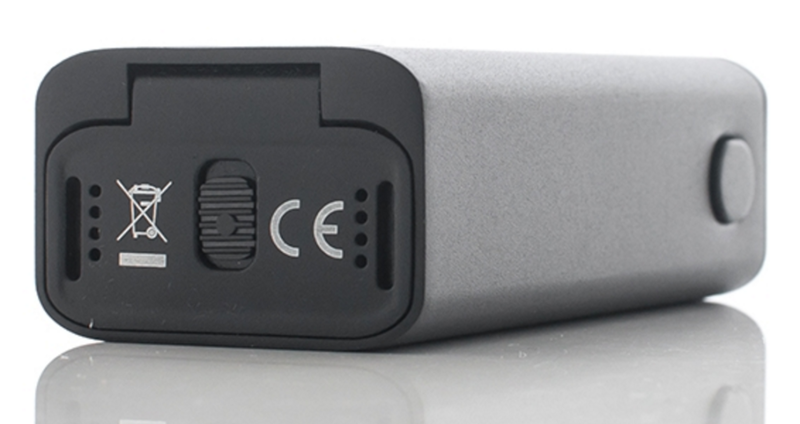 The battery venting is found on the bottom of the device and just melts into the overall design of the device. The floating 510 connection pin is well implemented with buttery smooth threading to match. To turn on the device simply click five times on the fire key. Once the Cuboid is switched on, you can switch between coil modes using three clicks to access: Smart, SS316, Ni, Ti, Power and TCR. Always make sure you have the device set for the correct mode for the coil you are using. The Cuboid comes in black, grey and silver. I tested the Cuboid with my Herakles Plus with a kanthal coil and did the majority of my vaping in Power Mode. Having had several dual 18650 battery devices I was expecting about the same performance from the Cuboid. But I was pleasantly surprised by just how well this little setup performed. I put in 2 brand new freshly charged Samsung 25R cells and was vaping my Herakles Plus with a .4ohm coil at 70W and it last just over 12 hours. 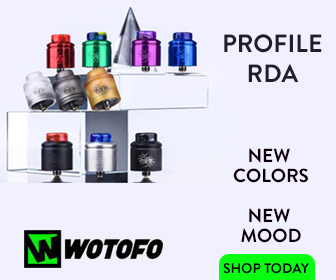 I recharged my batteries and threw on my TFV4 mini with the .16ohm quad coil and ran it at 115W and got approximately the same level of performance, just over a day. Same vape habits and all. Then I recharged the same batteries and ran my Herakles Plus with the .4ohm coil again but this time at my sweet spot, 50W. I got almost 2 whole days of vaping. My X Cube II managed just over a day at 50W, illustrating just how good a performer the Cuboid and also how quickly power efficiency in mods is developing. The performance and quality of the Cuboid is among one of the best. With 3 colour options to choose from you’re sure to find one that’s right for you. The device is ideally suited for women, on account of its smaller size, but will provide equally good performance for males too. It is packed with useful features and modes, as well as upgradable software, and has excellent battery performance. As box-mods go, the Joyetech Cuboid is one of our new favourite devices and we wouldn’t hesitate to recommend it to anyone looking for a new device with a twist.